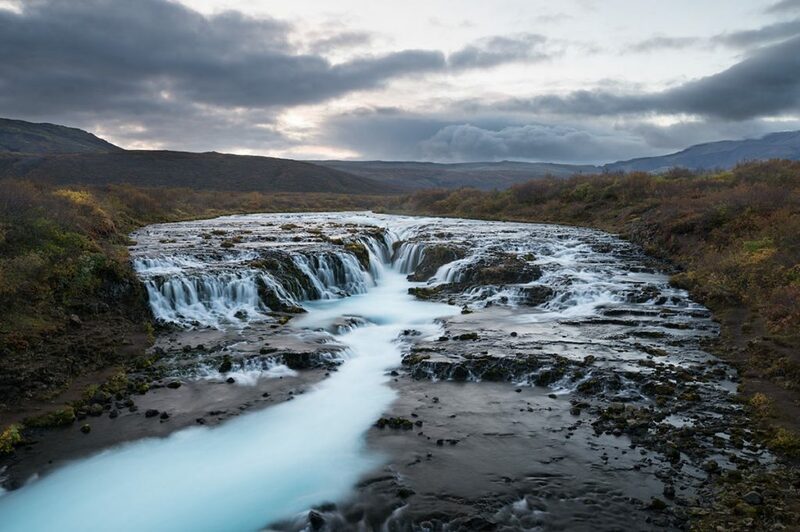 Brúarfoss is the coolest cyan waterfall in the Universe! Which used to be until recently, even it is on the Golden Circle, bit aside from the touristic hustle. Probably thanks to it´s position ‘somewhere in the woods’ and it doesn´t to come for the buses directly to the waterfall, and therefor it is not perfectly suited for this mass tourism. 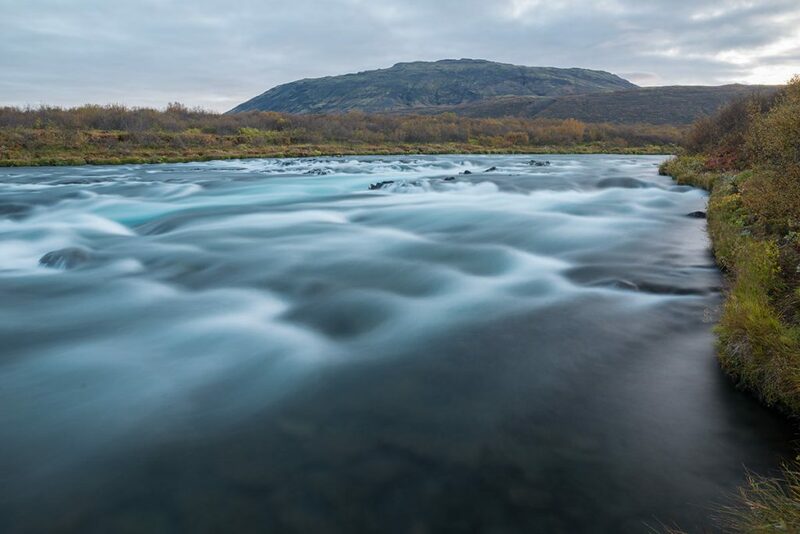 On the other side, if you´re not in Iceland for just couple of days, then it can be perfect place for you to go. 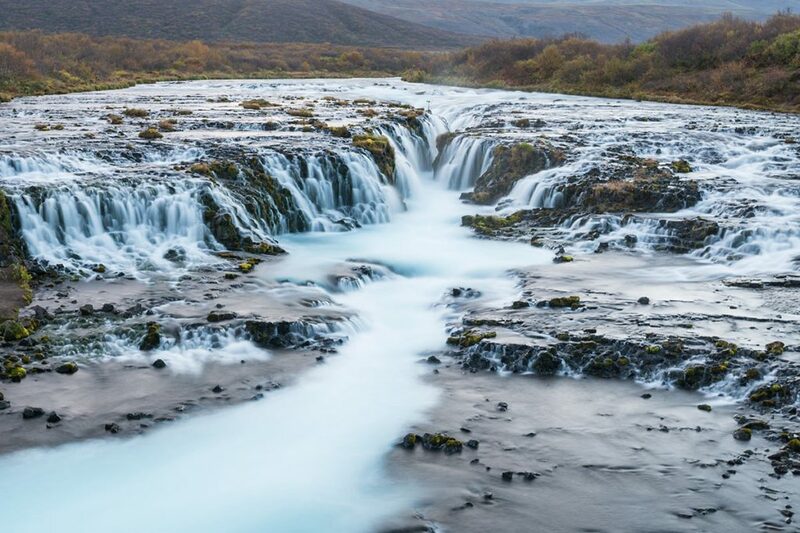 And if you are a photographer, this Brúarfoss is one of the ‘must’ places in Iceland. 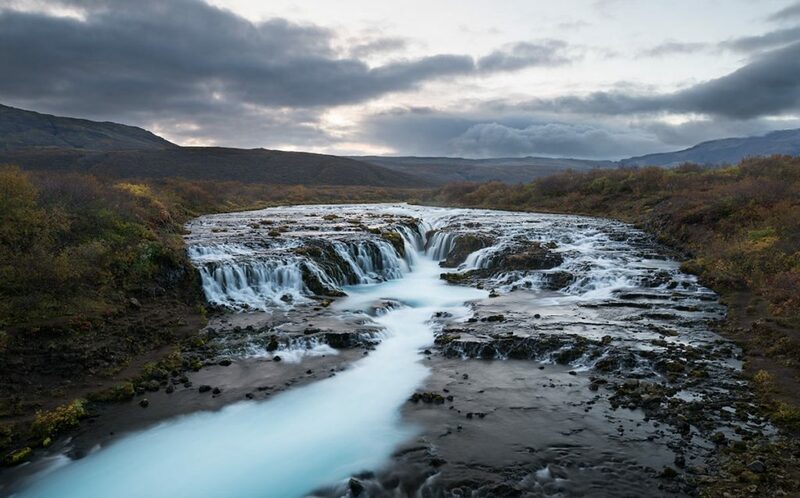 Brúarfoss is hidden in Icelandic bushes, but currently, there are already beaten pathways. 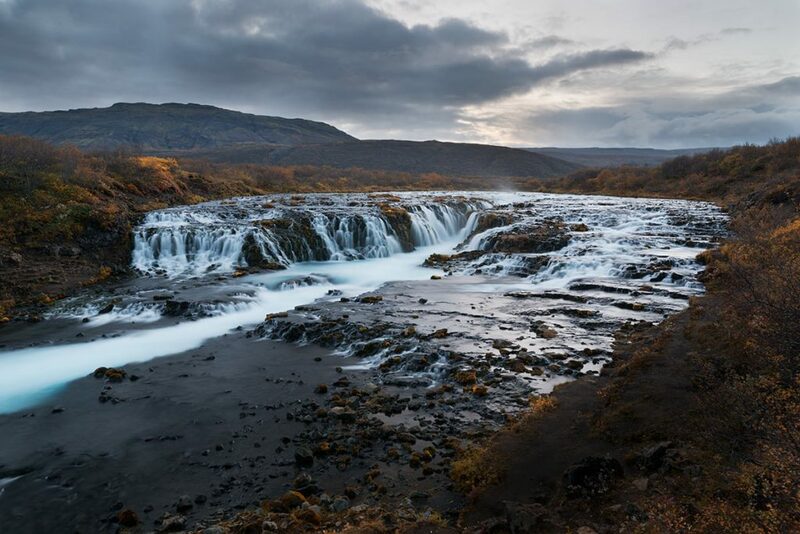 To park your car, you can utilize the official parking lot of Brúarfoss here (GPS: 64.240150, -20.523750) and from there take the pathway (along the other waterfall Miðfoss) against the stream of the river. Or, you can park in the settlement (GPS: 64.250555, -20.495640), go through it, then over the bridge, throu the bush field and after about 25 minutes, you are there. 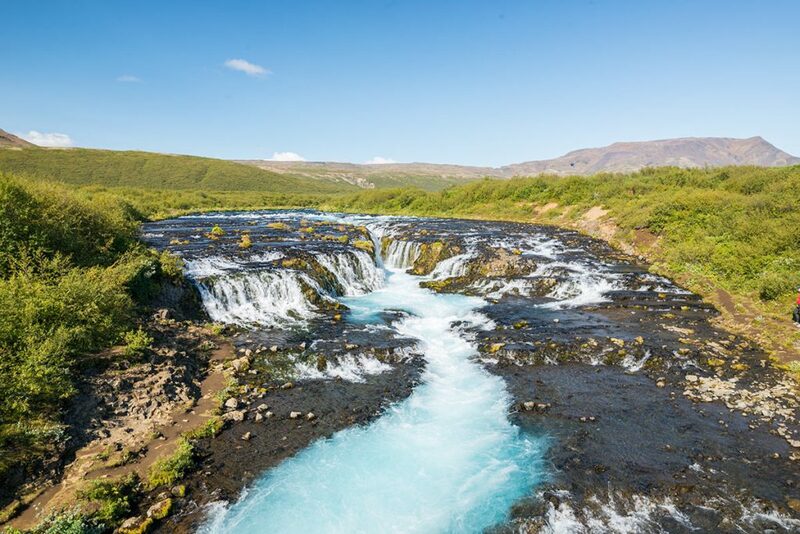 GPS coordinates of the Brúarfoss waterfall: 64.264442, -20.515985 Take me there!